You are a SAVIOR. This list is awesome and perfect timing, and all your details are so, so helpful. Also, a pee funnel? Never heard of these but I have to pee all. the. time. and really hate getting out of my tent to go! 1) Was it ever warm enough in the day that you only hiked in your tank? 2) Is it cold every single night and how cold? I never wound up using the pee funnel because I planned when I stopped my liquid intake but it is worth having (with a nalgene to pee into) just in case. The mountain has its own climate. What is on the mountain is irrelevant to the rest of the main land. One day I saw it blizzarding on the mountain while I stood in 90′ heat in Moshi Town. 1)Do not plan to hike in a tank top. Plan to have a long sleeve option in your daypack to LAYER. Because you walk all day with a heavy daypack you might get warm so there might be a day (1st or 2nd day) that you wear just a tank but likely not the whole day. By the second day you are walking in the clouds and clouds are not fluffy and fun like they seem. They are COLD! 2) Yes. Every night is cold. First night is the warmest and it gets progressively colder. It varies but I’m guessing 20-35’F but it’s not so bad if you are bundled in the tent. A few nights there was frost on the tents. I was told summit night was -10’C (about 14F). AWESOME post! Gear is everything next to a positive mental attitude! I’ll make sure to consult this list before I embark on my adventure. Are you planning to climb?! You’re a rock star, lady. Also though I feel like stopping hydration could be dangerous because it’s the number one thing that helps with altitude sickness, at least that’s what they told us when we up on the mountain in Colorado at 9,000-12,000 feet. That said, I totally get why you did it because I wouldn’t want to get out of my tent either! You’re absolutely right. Being hydrated is extremely important. It helps with altitude sickness & it is important not to get dehydrated. I should clarify that I drank about 3L every day before I cut myself off so I made sure I was getting plenty of water. Just READING this is terrifying, but this sounds like an awesome resource for anyone attempting this. Ha! Thanks! If I can be a good resource for just one person, I am grateful and happy. This is so awesome!! And QUITE the list… woah! Thank you for that list. 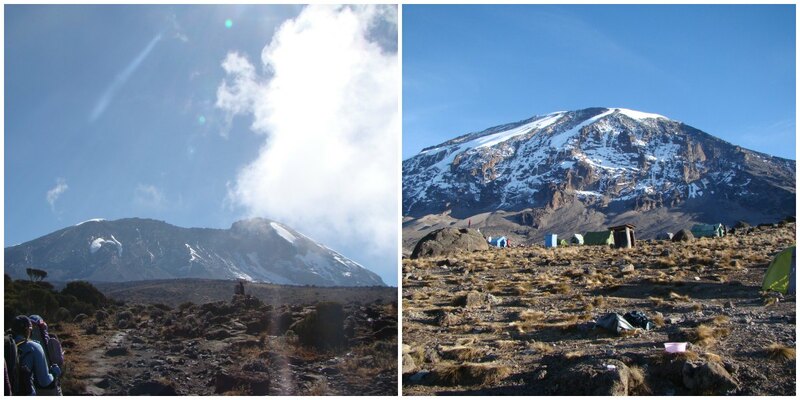 I am going to climb Kilimanjaro in October on the Rongai route. I looked uo other sites and it tells you what gear you need like fleece and socks ect but not one other site tells you how many of each. Thank you very much for the list this helps a lot. Great list, very helpful. We climb in August, and I’m reading a lot of packing lists to compare, but this one seems very complete. I am glad you found it helpful! This is just my list from my personal experience and research but I am glad you found it helpful! Feel free to email me if you have any more questions! Chloe- I’m glad the list was helpful. When you return, I’d love to hear about your climb! Hi!!! how u been, I would like to know, witch route did u take?, Machame route?, Lemosho route? or Marangu route? and why did u get that option? I am planing to go in February, do u think is a good season? I climbed Machame. We chose it because the girls in my group wanted the more scenic route. It wasn’t easy, that’s for sure. I went in October so I have no idea what it is like in Feb. I will say, make sure you do take as many days as possible to acclimate – and it is worth getting the package for hot food. Good luck! 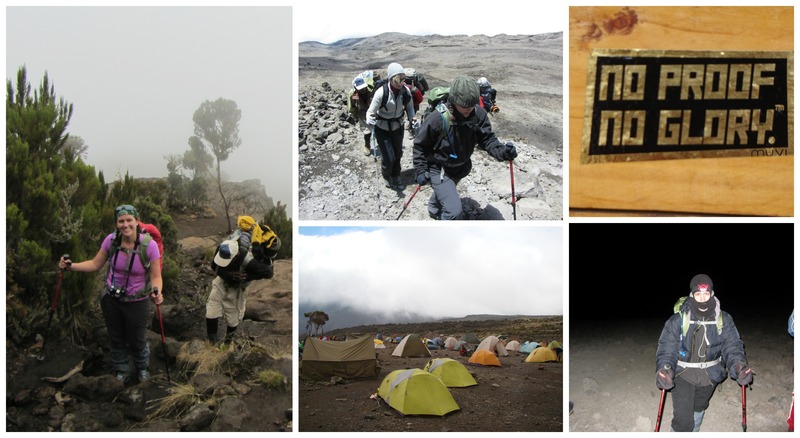 Dear Caryn, Good to read from you about Kilimanjaro Climbing gears and rentals. Kindly contact via my personal email. Your ideas, suggestions and opinions will be very important for me and to the other new friends comer. Thank you so much for this post! I’m due to head out in just a few weeks and the whole thing is a little daunting. How much training did you do to prepare for the trek? Hi Emma! Thank you for reading my post! I’m glad you found it helpful. I actually didn’t do much training at all. I found it was more about the difficulty breathing from the lack of oxygen and high altitude than it was about being physically fit. Feel free to email me if you have more questions. I’m not a doctor so please consult a physician but I can talk about my own person experience and what worked for me if that helps. Pretty neat, might be helpful for you! Cheers Caryn, this is really helpful. We are climbing in July 2015 (already booked and very excited). We’re Chicagoans too (originally England), and after last winter, i’m thinking we can handle a few cold nights. May I ask; are gaiters really necessary if we have waterproof pants and boots? I’m glad you found this helpful. Chicago or not – the cold nights are colder when you’re camping for 7 days than when you’re in a cozy warm house or only outside for a few minutes. It is cozy inside the tent though! As for the gaiters – yes. I do recommend them. The rocks and mud kick up and it is a good layer of protection for your pants. I wore mine everyday. let me know if you have any more questions. Good luck! and Happy New Year! This may seem a weird question but…I have a shy bowel…I’m scheduled to take a 10 day trek in August . How did you do with the number 2? When on the trail, you go behind rocks. It’s not that bad. When at the camp sites there is an out house for everyone but my group rented a toilet tent for $100. WORTH EVERY PENNY. The porters set it up and empty it for you at every site.